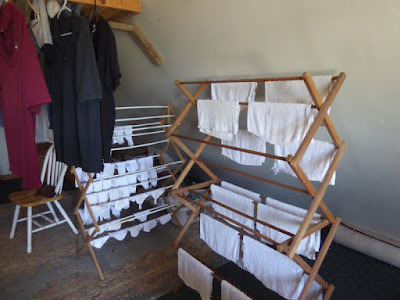 Once upon a time, I had a regular clothesline. Clearly it was great for summer use, but not so great for winter use, so during inclement and cold weather I just used our (propane) dryer. One, we ran short of propane in January 2008, during a time when there was too much snow on our rugged dirt road for the propane delivery guy to fill our tanks. We had to severely curtail any and all propane use, including the dryer. So I went to a local hardware store to see about a standing clothes drying rack. The sales clerk showed me the only one they had left in stock, sitting on a shelf, for the rather exorbitant price of $45. “But it’s broken,” I said to the clerk, pointing to a fractured dowel. “Then I’ll drop the price to $30,” he said. “But it’s also broken here.” I pointed to another fractured dowel. 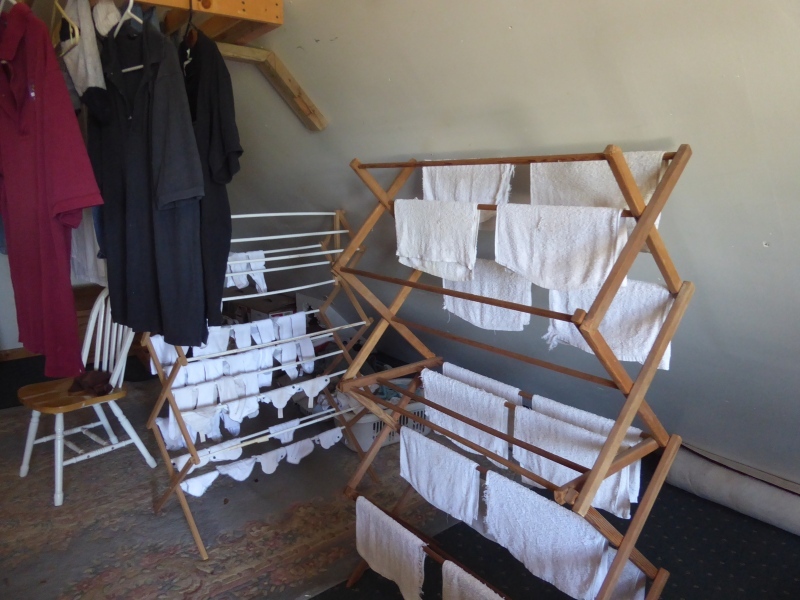 I took the rack home, mended the dowels with wood glue, set it up in front of the wood stove, and hung a load of laundry. It only held one load, but it dried the clothes beautifully. I remember looking at it and telling Don, “I’ll never use the dryer again.” And I haven’t. 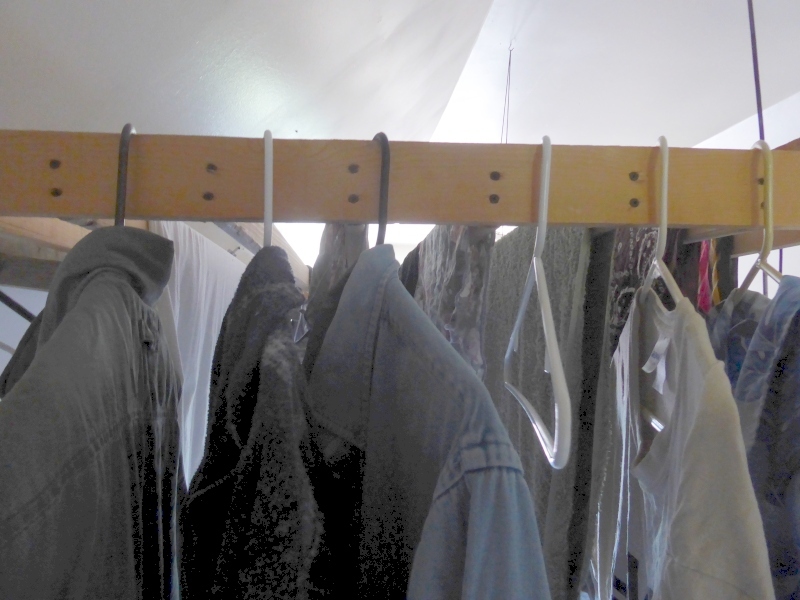 I used that single indoor clothes rack exhaustively throughout all winter weather thereafter. The only annoying thing is it really didn’t hold sheets well – it was far too small. 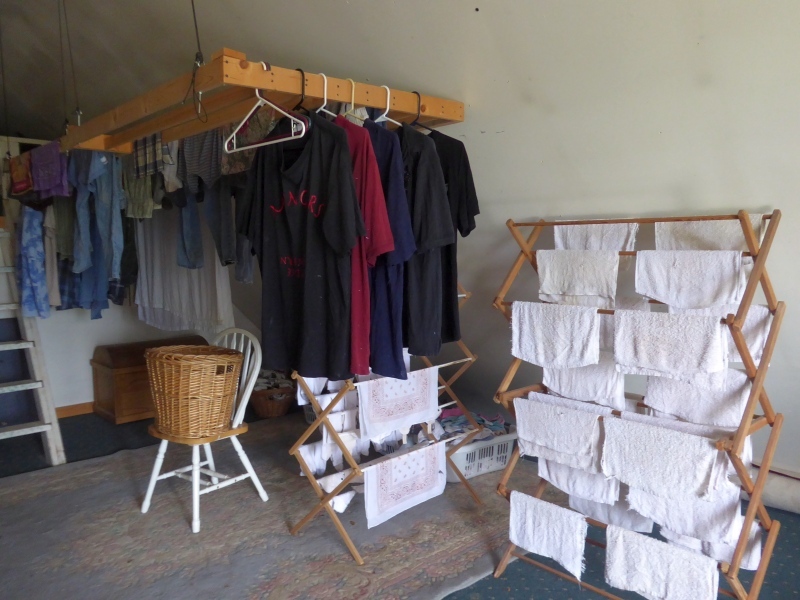 So when it came time to wash sheets, I only washed one set at a time and draped them over the handrail of our stairs to dry. Then the second thing happened: My outdoor clothesline broke from overuse in October 2010 (dropping four loads of wet laundry to the ground). 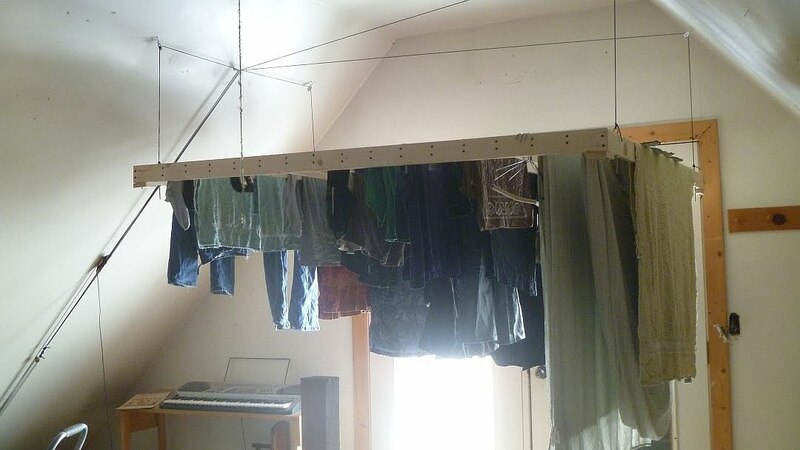 So Don built me a clothes rack suspended from the ceiling of our upstairs, which has a pitched roof. 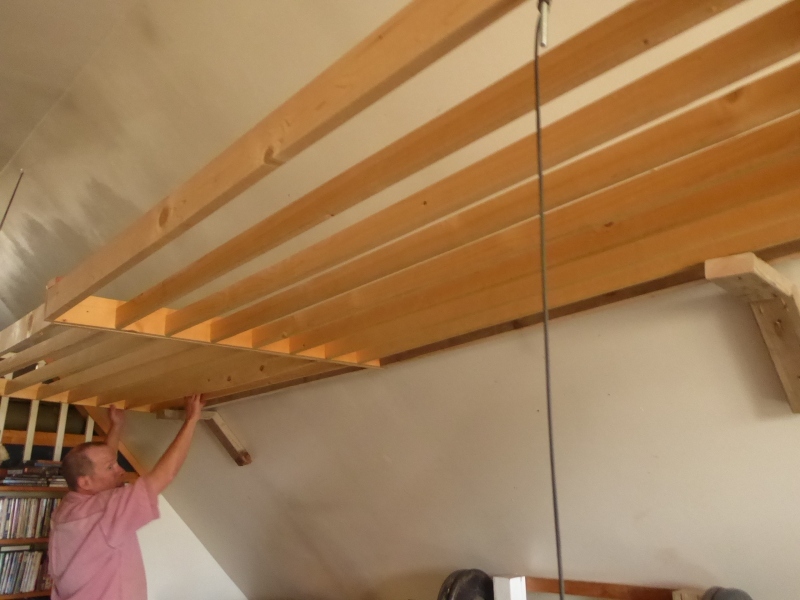 Originally the rack was on pulleys suspended by paracord, the idea being I would raise or lower the rack as needed. As it turned out, I literally never moved the rack at all – it was at a fine level for hanging clothes – and the only disadvantage is it blocked the doors to a tiny second-floor deck. A couple years ago, Don removed the rack, split it in half length-wise, and rehung it in another part of the upstairs under the sloped ceiling (on permanent supports, not pulleys), so now we have full access to the little outside deck. This clothes rack absolutely revolutionized our household laundry. It easily holds four loads of laundry. I hang shirts on hangers along the edges. 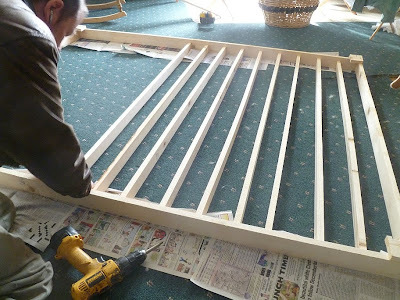 Sheets are no trouble at all – I remember once when we were all recovering from the flu, I had everyone strip their beds and I washed all the sheets and hung them without a problem. I have two standing racks I use for socks and dish towels. Interestingly, Older Daughter requested a standing rack as a birthday present last December. Growing up with line-dried clothes, at first she thought a clothes dryer was kinda neat (she’s a live-in nanny with a professional family in New Jersey), but now she understands dryers are expensive to operate and batter the clothes around. She uses her collapsible clothes rack when needed and folds it away in her closet when it’s not in use. And so the legacy continues. All of the above. We barter them, we sell them, and a few go to Mr. Darcy. A few years ago, we bartered eggs for Younger Daughter's music lessons. 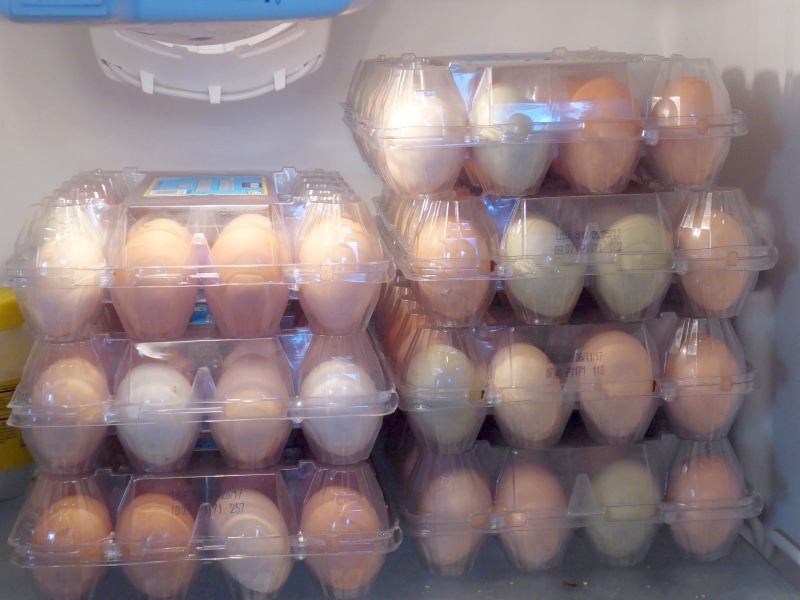 We have several neighbors who buy eggs, and I have a lady in Coeur d’Alene who will take eight or ten dozen eggs whenever I’m in town (every few weeks). Yesterday I had fourteen dozen eggs in the fridge (!!) but thankfully my buyer in Coeur d'Alene took the whole batch. Obviously the chickens don’t lay this heavily year-round. Yes, Don is a sandwich guy, so I make sure we always have fresh bread in the house (I use a bread machine and make about three loaves a week). Since the kids are gone, we don’t jointly cook much, so we just forage whatever is in the fridge. We have a freezer full of beef, so sometimes Don cooks a roast, slices it, and that becomes lunch meat. 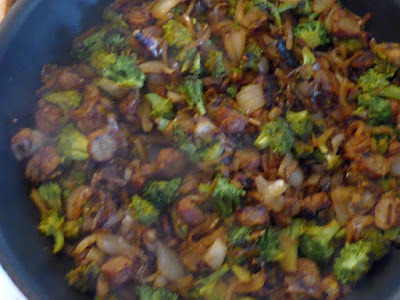 Of course we’ll eat any leftovers when we host the neighborhood potluck. Right now the garden is just getting planted so we don’t have much by way of fresh food (unless we buy it), but we have a pantry full of food I canned up, so we’ll often raid that. In short, we just eat when we’re hungry and have whatever is on hand. Thank you for the answers to my questions. I hang clothes outside for most of the year but I live in a strong Ag area and for three months in the fall the flies are so bad that they will cover our wet clothes if we dry them outside. 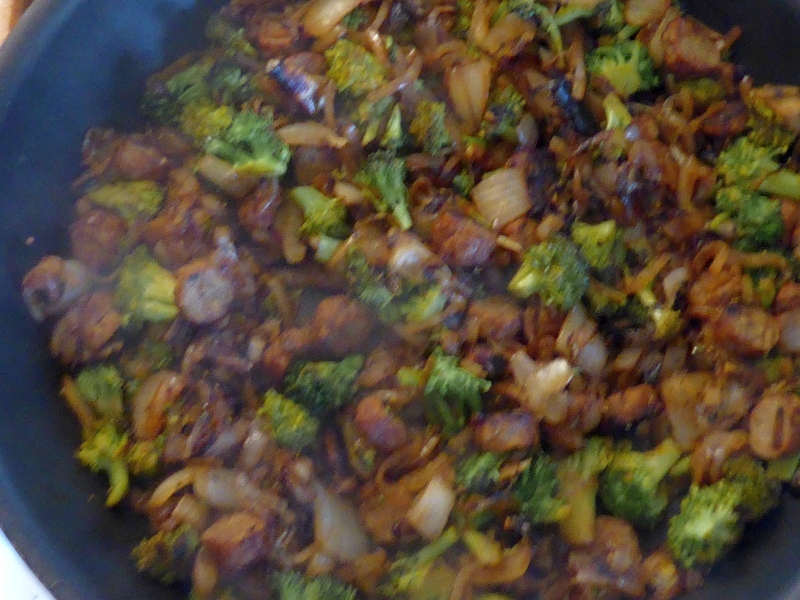 We have one last son at home and I am already counting the days until the cooking duties are greatly reduced. Thank you very much for the answer to my question. 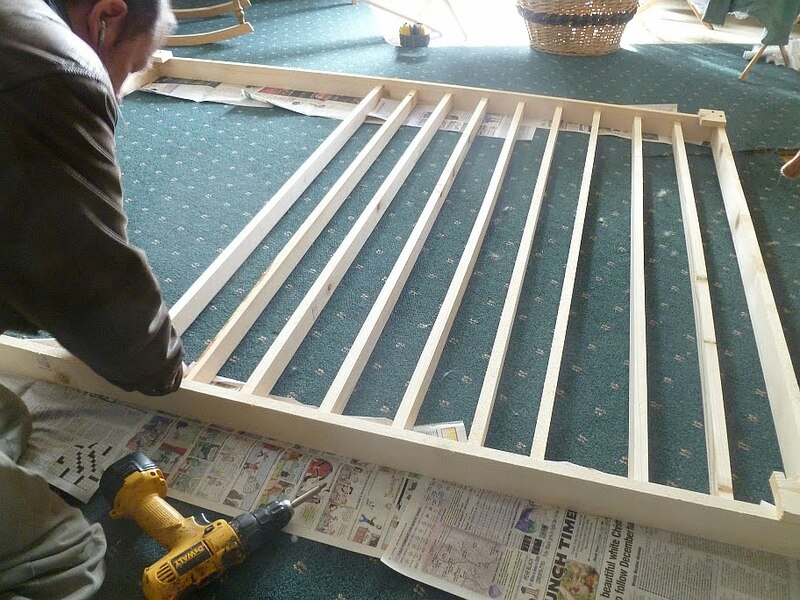 You and your husband do beautiful work. Thank you for sharing your experiences and knowledge with us.